On Jan 20 thousands of women, femmes and allies will come together in New York City , to celebrate the one-year anniversary of the Women’s March and to launch our collective 2018 Women's March Agenda: #PowerToThePolls. 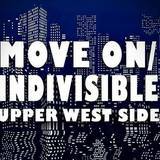 We're two grassroots groups [Upper West Side MoveOn/Indivisible Action Group and Upper East Side Indivisible] that got together to host an After March Event at the Ethical Culture Society in New York City on Jan. 20 from 4pm - 6pm in NYC. After the March, please join us to warm up with hot cocoa and good company. We'll get to know each other, shmooze and sing together to enliven our spirit with lyrics provided in the program and then look back to how we spent 2017 and forward to how we'll take back the House in 2018. 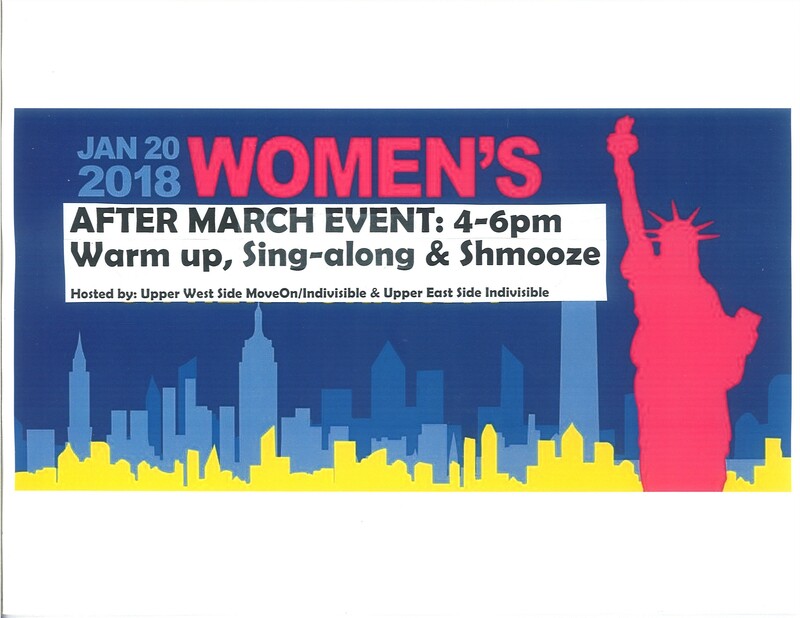 Join the Upper West Side MoveOn/Indivisible Action Group and Upper East Side Indivisible in New York City for the first anniversary of the Women's March.